If you loved Starship Troopers -- well, I'm not so sure you should admit that. 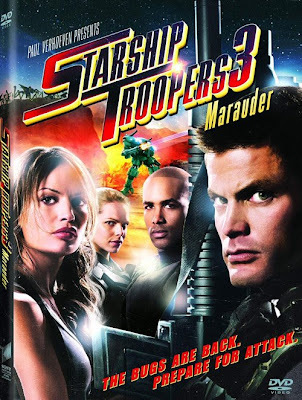 But chances are good that you will at least like Starship Troopers 3: Marauder. You can read my Variety review here. The original "Troopers" is one of those films I'll watch EVERY time it's on tv. It's the bug hunting -- the effects still look state of the proverbial art.